The Asia House Bagri Foundation Literature Festival invited cultural journalist and critic Maya Jaggi to chair a conversation with Nadeem Aslam about his recent book, The Golden Legend, for the closing night on the 26th May 2017. The book is set in contemporary Pakistan, and tells the story of a Muslim widow and her Christian neighbours whose community is consumed by violent religious intolerance. It is a novel about the relationship between power and powerlessness: between men and women, between East and West, between adults and children, between a state and its citizens, between the majority population of a country and the minorities. Here’s a video of their passionate and engaging conversation. 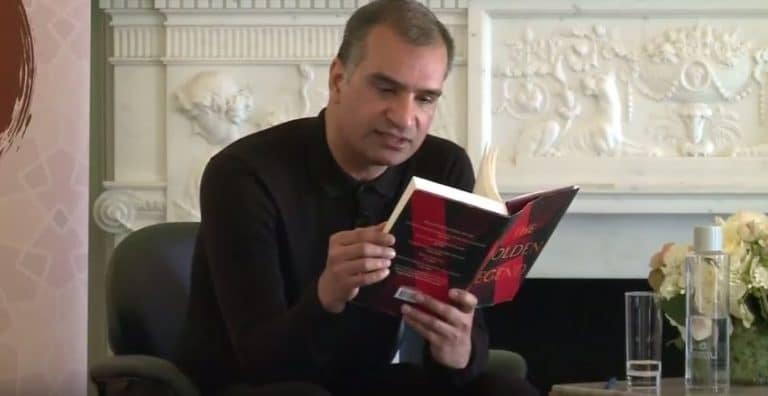 Nadeem Aslam was born in Pakistan and now lives in the UK, and is a fellow of the Royal Society of Literature. His previous novels include Season of the Rainbirds (1993), Maps for Lost Lovers (2004) The Wasted Vigil (2008), and The Blind Man’s Garden (2013).